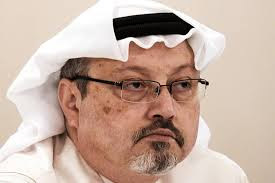 Nearly fifty days have passed since the brutal assassination of Saudi journalist Jamal Khashoggi [Jamāl Khāshqjī] in his country’s consulate in Istanbul on the 2nd of October 2018. Almost every day new evidence is released about the stunning details of the savage crime, yet answers to critical questions remain obscure, mainly: Who ordered the assassination? Where is the body of the diseased? And to whom was it handed? There are some leaks that the chopped body was dissolved in an acid and thrown in a well in the Saudi Consul’s home or in the sewage. As an act of objection to what has happened, some countries have banned people on the list of suspected assassins from entering these countries. Some governments have talked about imposing sanctions against the country of the victim and assassins. Other governments are still waiting for the full details of the crime to unfold to be able to form their opinion and act accordingly. There is talk about an international investigation to be mandated by the United Nations. Yesterday, US President Donald Trump announced that the USA could not afford to impose sanctions on a strong historical ally and loose valuable business contracts to China or Russia if Saudi Arabia turns to them. President Trump’s announcement means that governments should compromise moral principles and values for material benefit and businesses sake. This implies that humanity is faced with a critical choice, a choice between morals and human values on one side and business and material profits on the other side. In that respect, we are reminded of professor Rajmohan Gandhi’s call for an “alliance of human conscience”. Professor Rajmohan, grandson of the late and great Mahatma Gandhi, toured several countries in 2010 calling for that much needed alliance. In other words, this tragic crisis, in its symbolic aspects, poses a great challenge to the conscience of humanity far beyond the details of the crime, persons and politics involved. Symbolic aspects include the relationship between rulers in developing countries and citizens, especially intellectuals and more so if in opposition. It also includes relative weights of morality verses international economic trade, and whether democracy of western countries values human life of individuals in developing countries as their own. As an Arab and Muslim who lived and worked for years in Saudi Arabia, I do care for its people and would not like to see any harm inflicted upon them, or to see them penalized for a crime which few heartless assassins have committed. I do hope and pray for wise, faithful and caring human beings in Saudi Arabia itself. In Turkey, where the crime was committed and in the countries of the world chose to take a stand for the sanctity of human life and take the most appropriate measures so that the assassins are penalized, that absolute justice is upheld and that no such crime would ever be repeated anywhere on earth.